Do you have something mauve in your home? 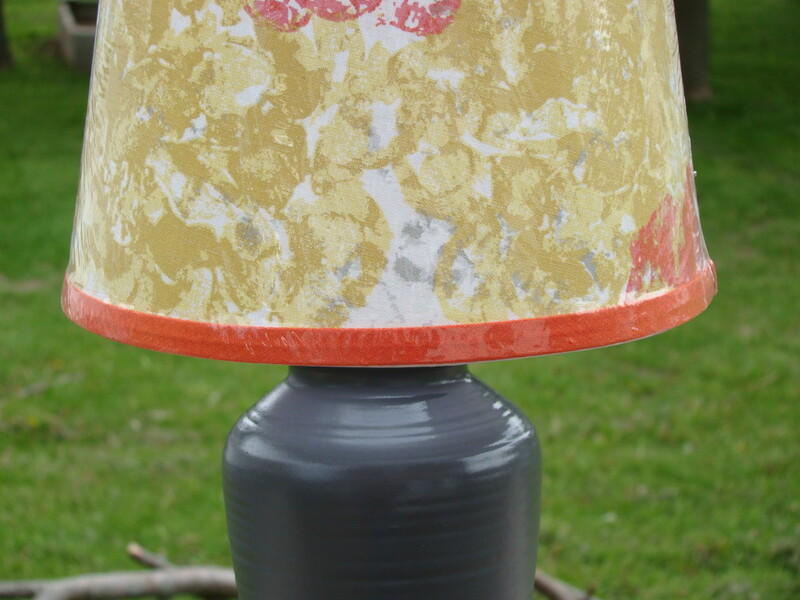 Then, chances are that item needs a makeover….like this lamp did. This lamp was floating around my parents’ house for years, and it once coordinated nicely with the room it sat in. But, it was time to move on and give it a new lease on life. Bring on the spray paint! 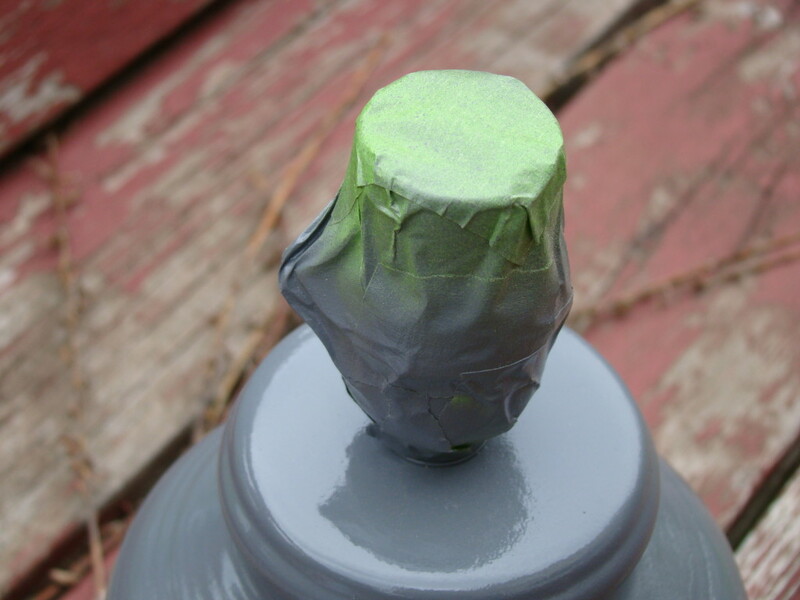 First, I wrapped the socket with painters tape to protect it from the spray. 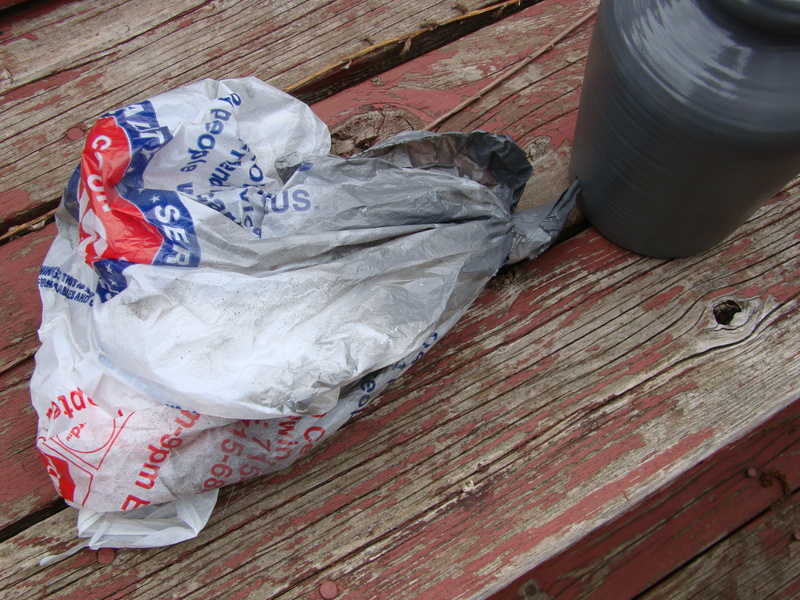 I also used an old plastic shopping bag to protect the electrical cord. I simply placed the cord inside the bag, then used painters tape around the bag and the cord near the base of the lamp. Neat and tidy. I chose a glossy spray paint in a deep gray color. The color was pulled right from the lampshade I selected; you can see a few gray splotches in the two photos below. I chose the gray to contrast the warm colors of the shade. It IS an improvement, don’t you think? Two coasts of spray paint was all it took to bring the mauve into the 21st Century! 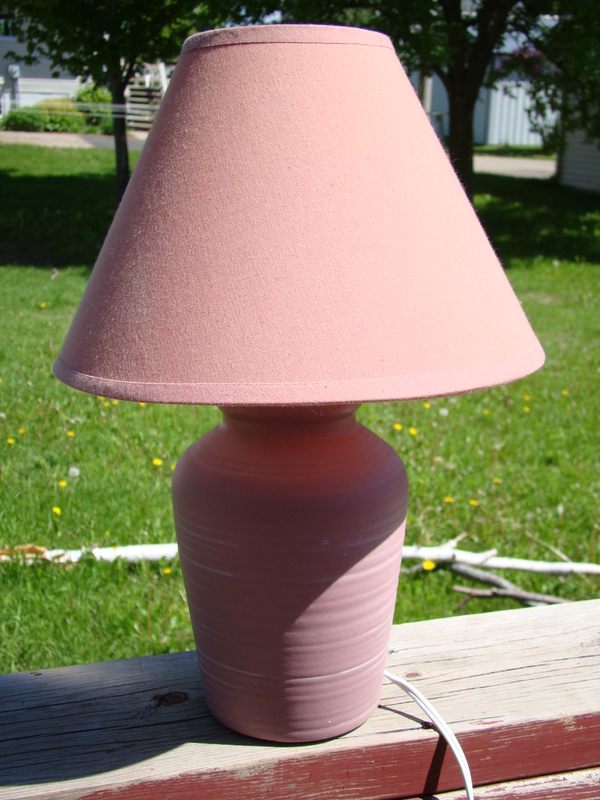 And, of course, I made sure to wipe the lamp down before painting…we don’t need to paint over the dust. What do you think? 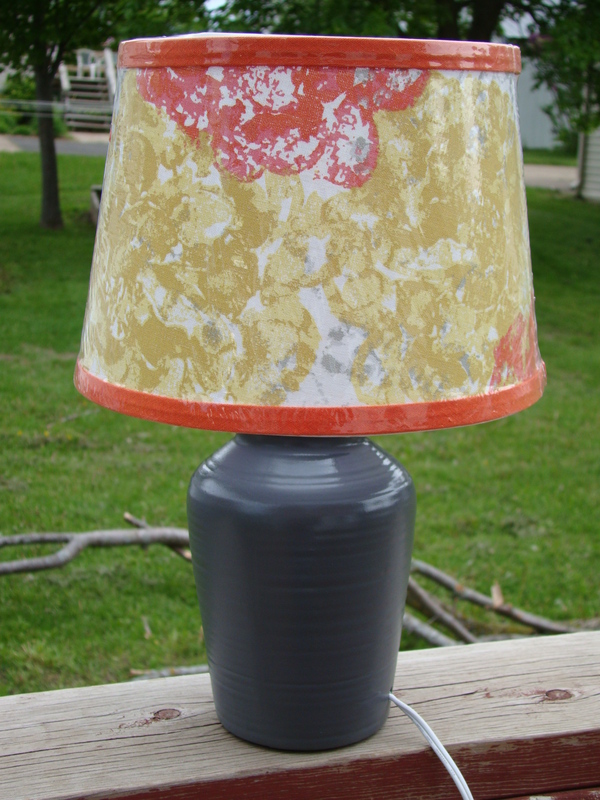 And, don’t worry…I’ll remove the plastic on the shade before I bring it to my shop. I was glad I had the plastic still on the shade when a wayward bird flew over and made a bit of a mess. For real. No harm, no fowl.. 🙂 Thankfully.